Your one-stop shop for Web hosting, SEO, Web design and development, training and seminars, Drupal, Joomla and WordPress services in the Philippines! i-Build Philippines in Manila, Philippines, provides web design, web development, search engine optimization (SEO), web hosting, training and seminars, maintenance, consultancy services and other web solutions. We specialize in opensource content management systems (CMS) and frameworks such as Joomla, Drupal, Wordpress, Magento and other opensource applications. 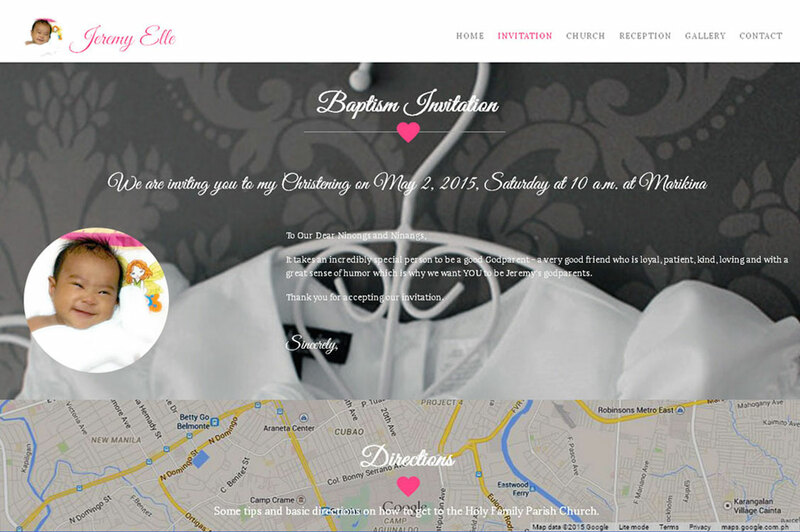 We build and host websites that work for you! Let us set-up and manage your online solutions. We'll make your websites and online platforms work for you and your business! Build your websites and web applications with the powerful, flexible, highly scalable and most secure Drupal platform! 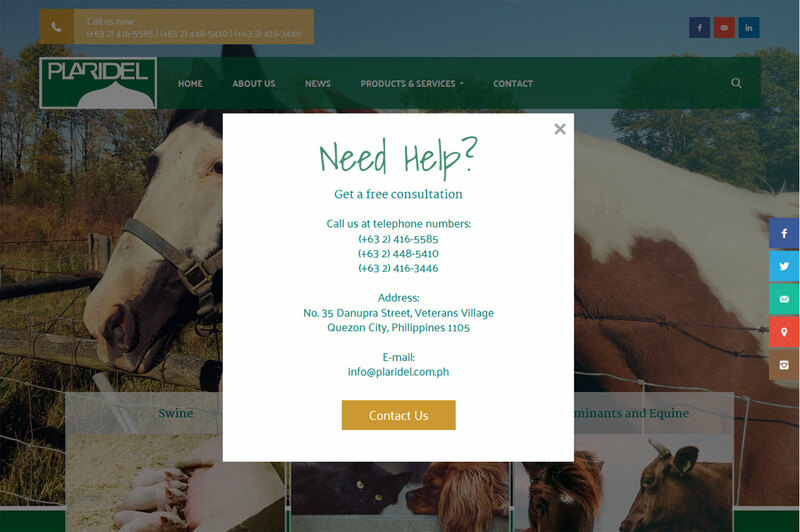 Build your website with a user friendly interface and trusted software by commercial businesses and non-profit agencies alike! Build and host with us your beautiful content-driven websites with the popular and easy-to-manage Wordpress! Learn and be trained on the best practices in SEO, or better yet let us take care of your online visibility, website and search ranking promotion! Very professional and very supportive! You will feel like you are workmates with them! 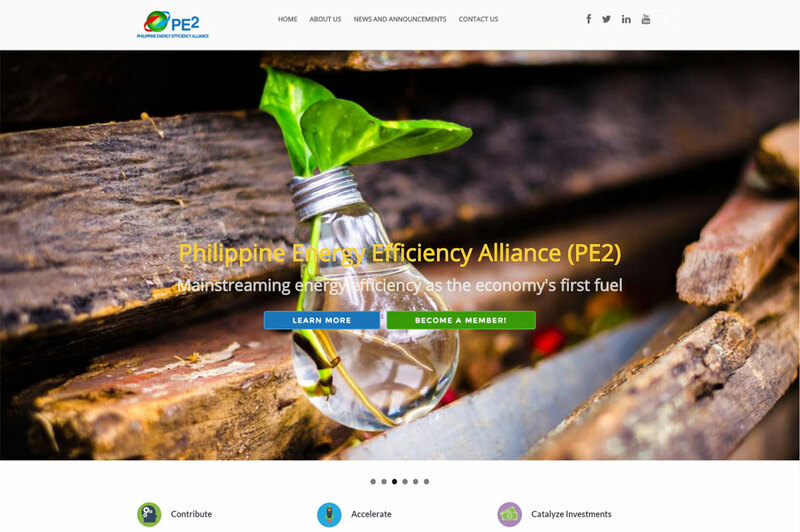 The Philippine Energy Efficiency Alliance (PE2) needed online visibility and reach, especially as the Alliance ramps up its advocacy and market development initiatives. I am glad we were introduced to Jerome and the iBuild.PH team, who proposed, designed and implemented web solutions for our civil society organization. 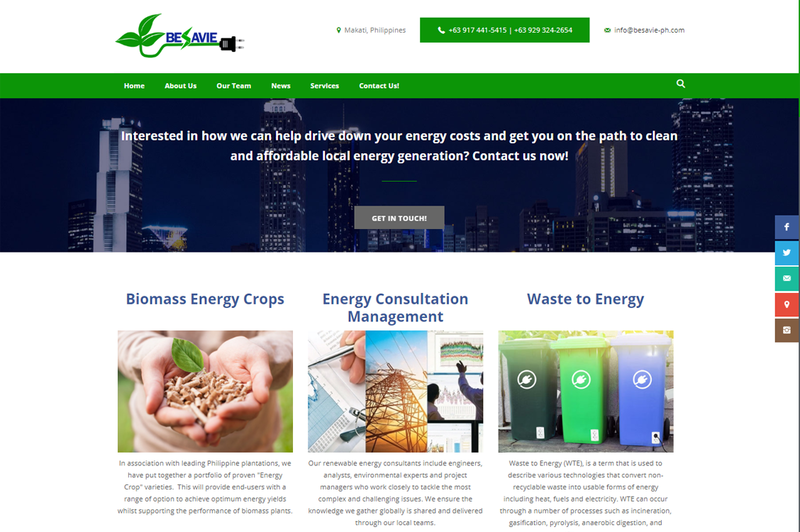 Their responsive website maintenance services offer PE2 the flexibility to showcase a dynamic knowledge platform that keeps up with the exciting developments within the Alliance and across the energy efficiency sector. 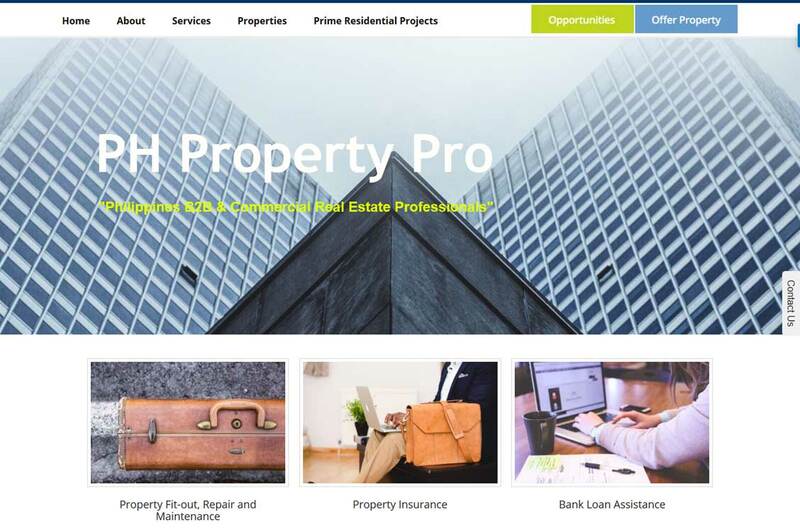 i-Build.PH was not yet as it is now when i first had my website built. Jerome was a freelance programmer and was still employed at that time. It was 9 years ago if I am not mistaken. I know him as very professional in dealing with me and he does business with a personal touch. This one quality I admire most. I remember he even went to my house to give me a personal training on the maintenance of the web. He became my friend since then and I never forgot him even after I created another website from another company when Jerome (at that time) was pursuing his professional career. Jerome and the i-Build.PH support team are very responsive and technically competent. 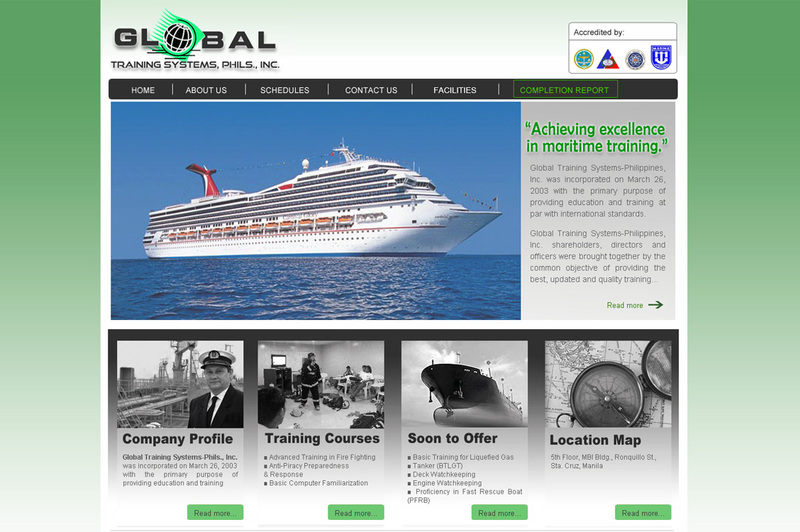 They offer a spectrum of reliable services and managed our website professionally and efficiently. We are very satisfied with the customer service provided. I was skeptical with the SEO campaign at first. For me it was an unnecessary luxury embraced by companies only to dignify its position and brand in the market, so its marketing campaigns will sound fancier to the stakeholders. 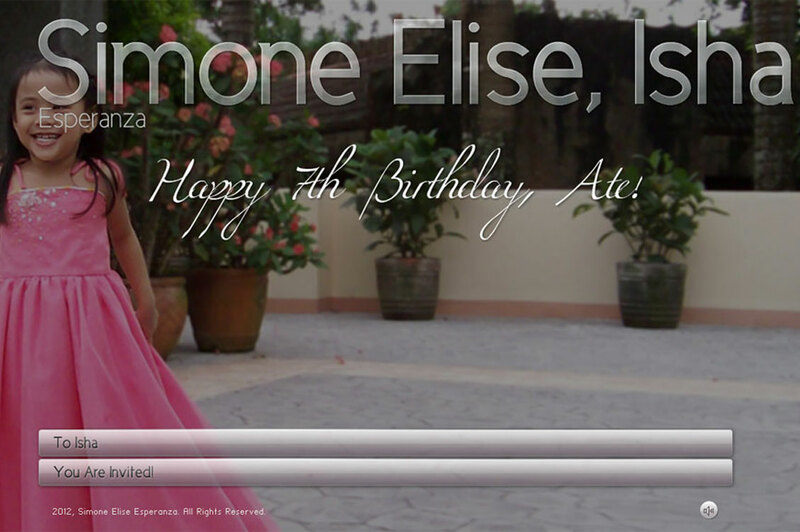 This was about to change when I started working with iBuildPh for an SEO project I was mandated to work on. 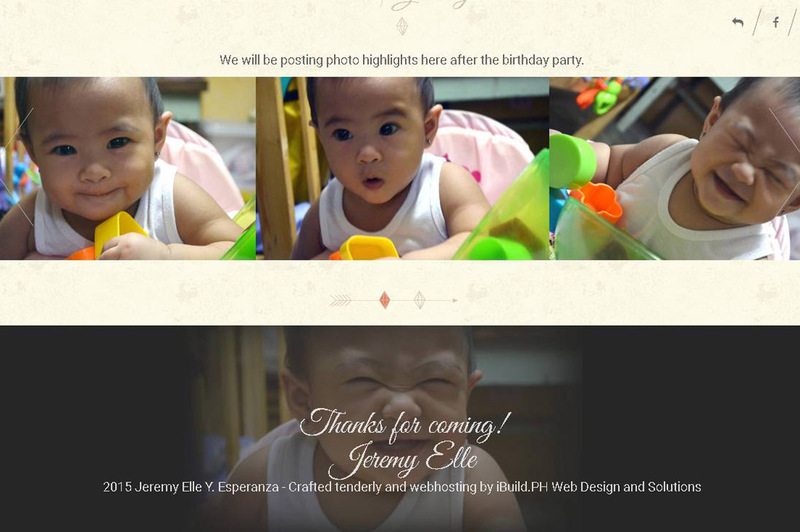 Working with iBuildPH (c/o Jerome), has never been so easy. Everything is explained to the last dot. They give you realistic goals and provide sensible benchmarks, based on your business road map and goals. 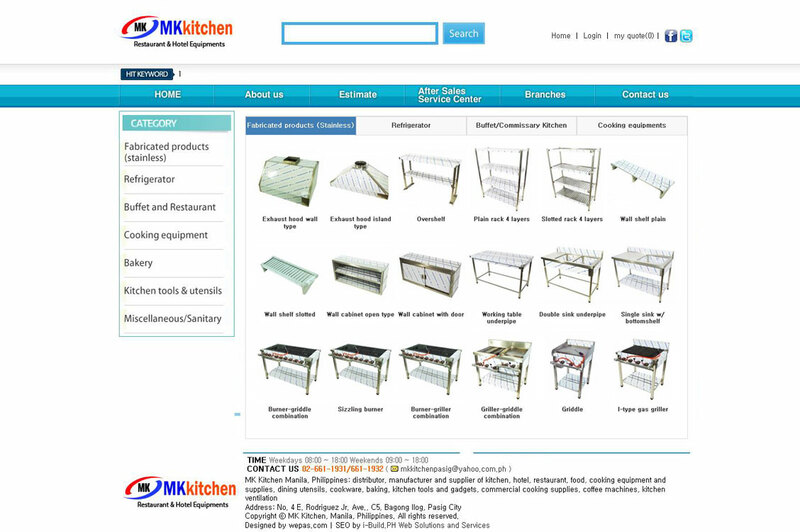 I have been (Was) able to learn how to create and manage a Joomla website in such a minimal investment. Plus the trainer is very cool and accommodating even after the training. Will definitely recommend their service to my friends. Services are very affordable yet valuable. Excellent customer service as well. As a web developer, I'll definitely have my future websites hosted by i-Build. 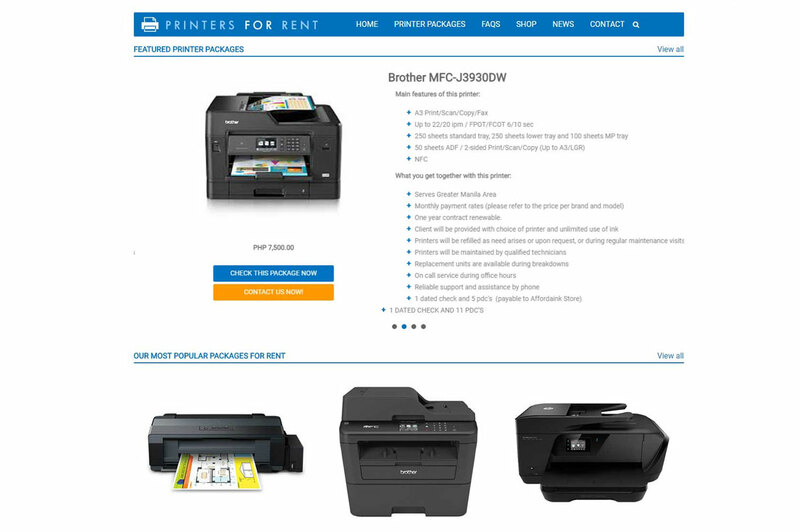 Very good for assisting customer. Trusted po sila and madaling kausap (They are trustworthy and easy to talk with). "Jerome is a pleasure to work with. He is quick, professional and reliable. He is clear about what he can deliver and works exactly to the scope required." "Jerome knows his stuff as a web developer; easy to work with; has good communication skills (patient in explaining information) and is a proactive professional." 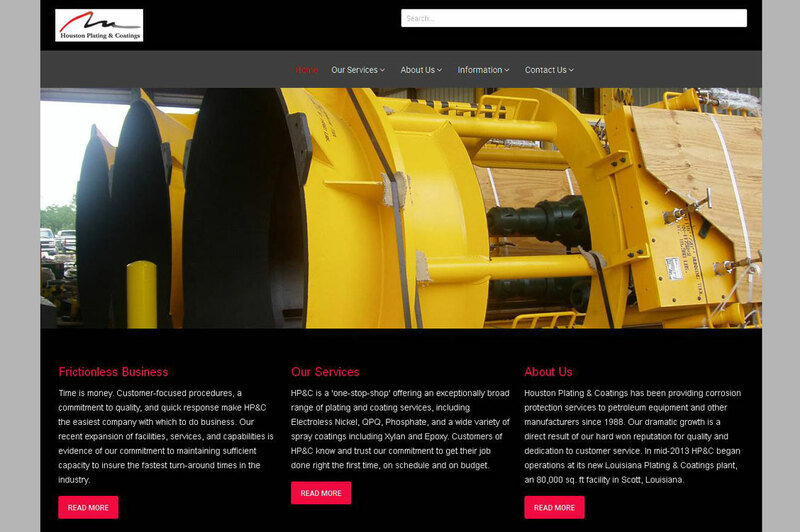 "Jerome designed and built my company's website. I was very pleased with the results and the process of working with Jerome. He was easy to work with, created excellent value for the cost, and was trustworthy and reliable. 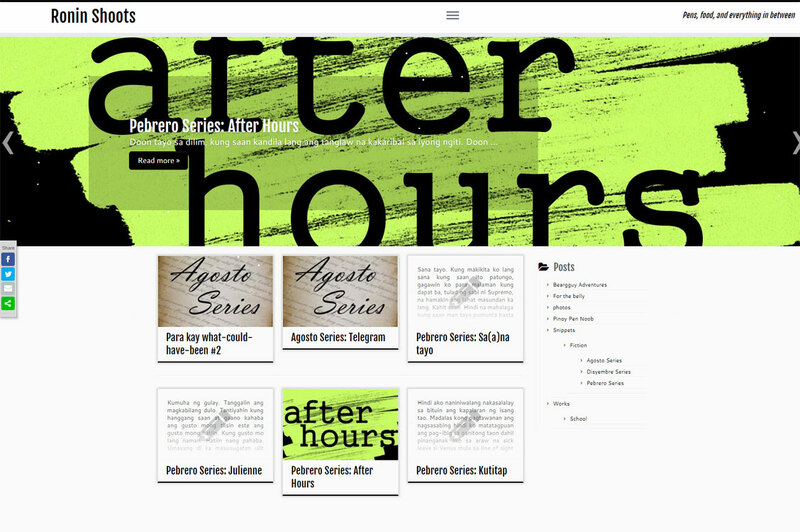 I recommend Jerome for your website needs!" 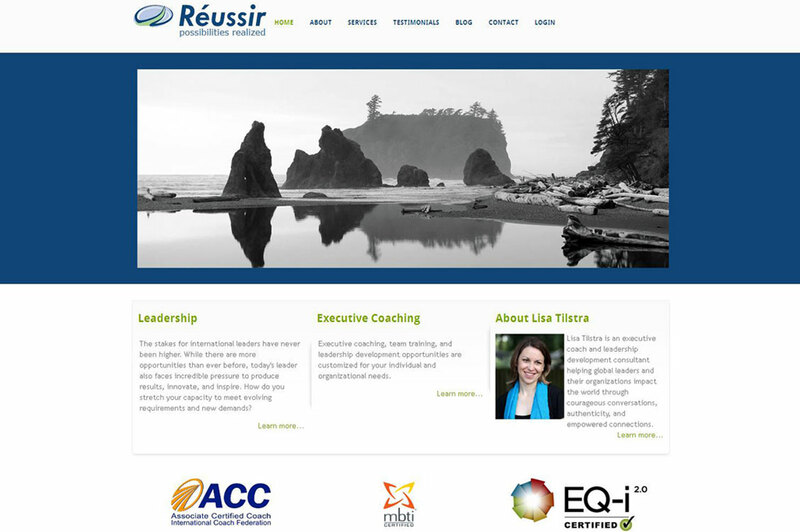 ReussirGroup provides executive, leadership, and personal development skills training and coaching. 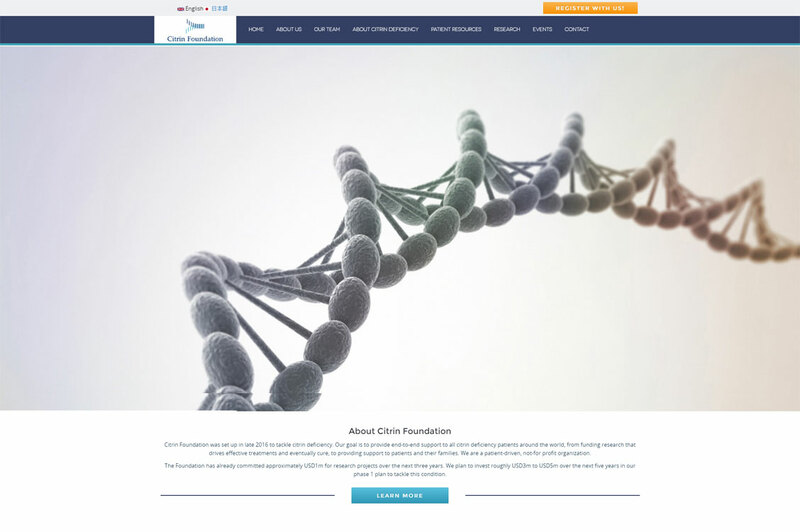 Citrin Foundation website is multi-lingual, scalabe, flexible and secure website using Drupal. Language interfaces include the English and Japanese languages. 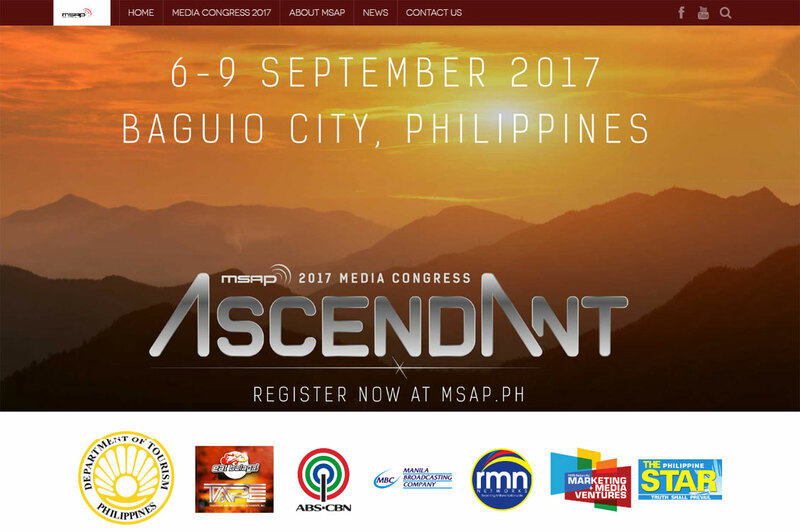 MANILA - The biggest and largest gathering of the country’s media experts and practitioners takes place in Baguio City on September 6-9. 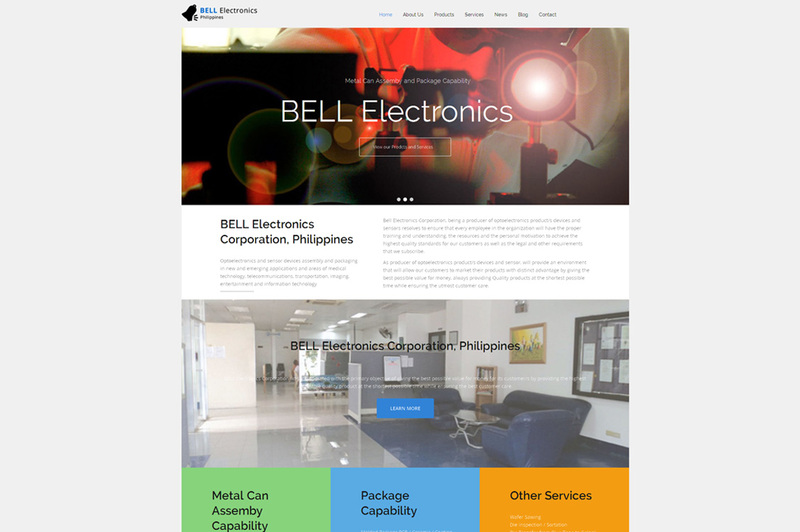 BELL Electronics Corporation, located in Calamba, Laguna, is an assembly and test subcontracting house for optoelectronics and sensor devices. 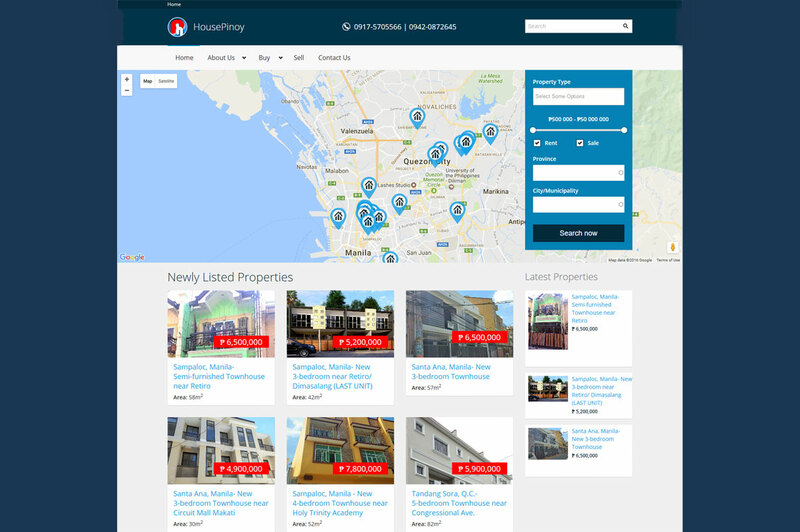 Housepinoy Real Estate Philippines is an online real estate marketing site formed to help owners in efficient property disposition and to guide homebuyers and investors in finding the right property that match their budget and need. For over 5 years, this client with former outfit as NFGB, has been with i-Build.PH. 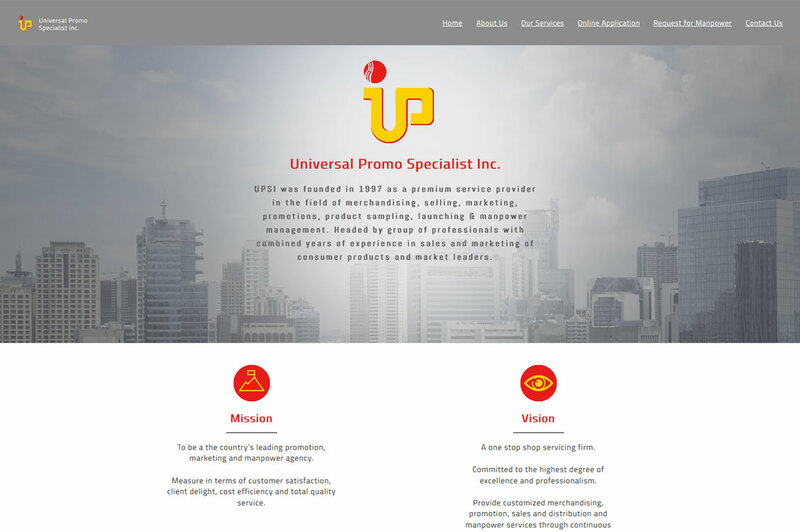 i-Build is proudly hosting the Universal Promo Specialists, Inc. website and its mail services. UPSI is a service provider in the field of merchandising, retail based activation, selling, marketing, research, promotions, product sampling, events organizing and launching and manpower management. 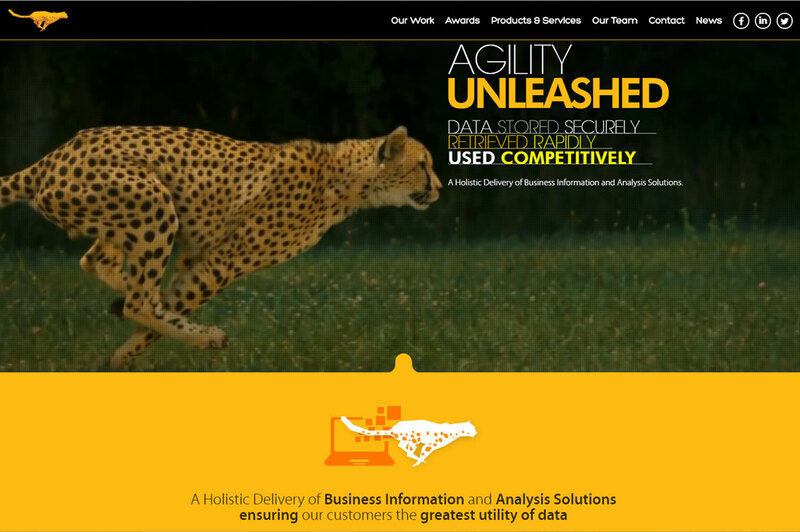 ABBE is a consulting services firm committed to helping organizations realize the value of having the right information management tools in place to address current and future business needs. 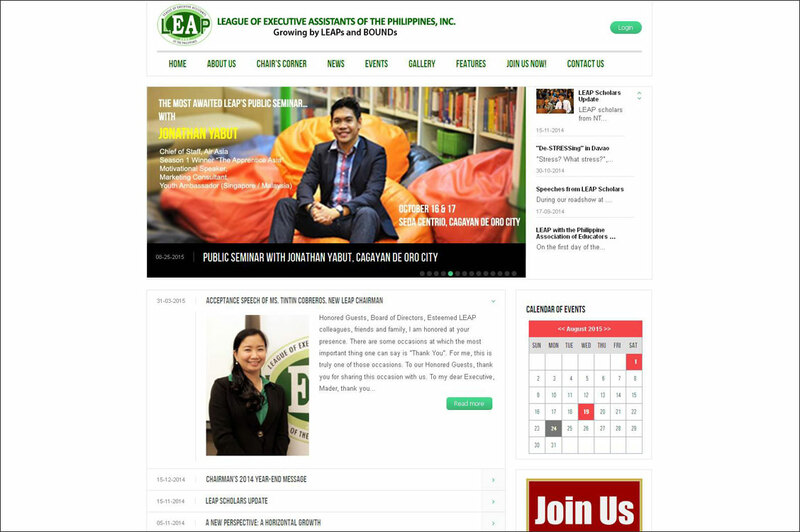 LEAP is a professional organization of administrative professionals and executive assistants in the Philippines. 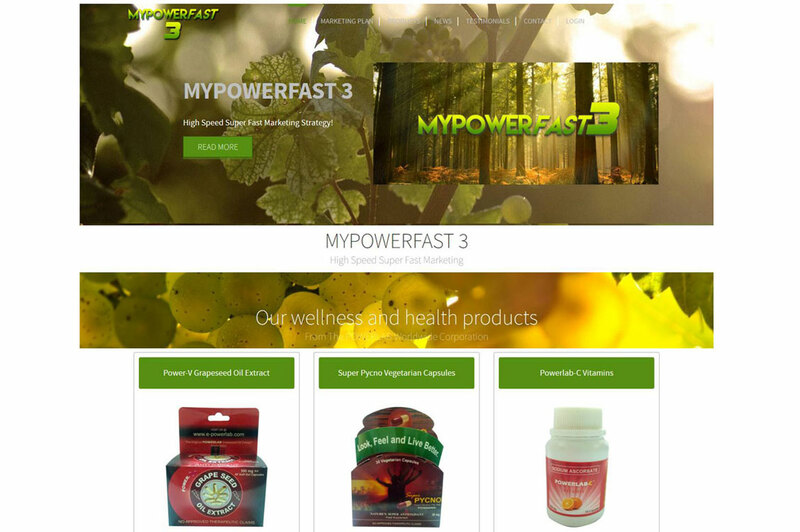 MYPOWERFAST 3: High Speed Super Fast Marketing Strategy! 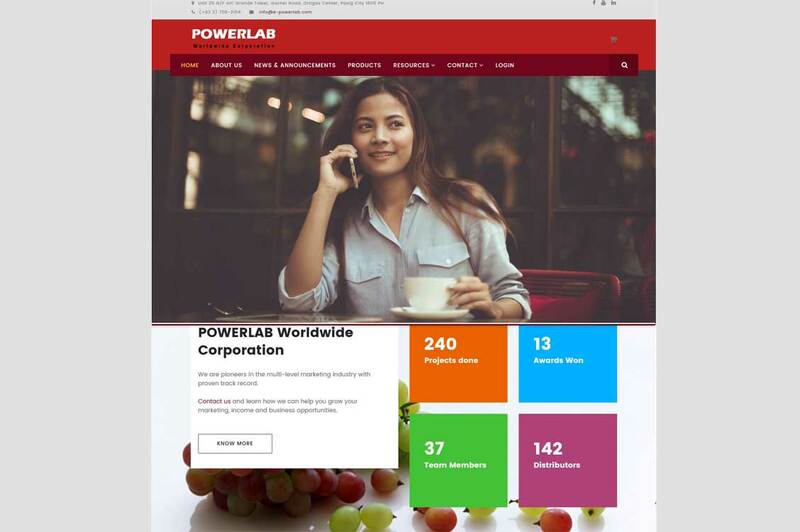 is an online marketing strategy of a client POWERLAB Worldwide, Inc.
Center for Health Development No. 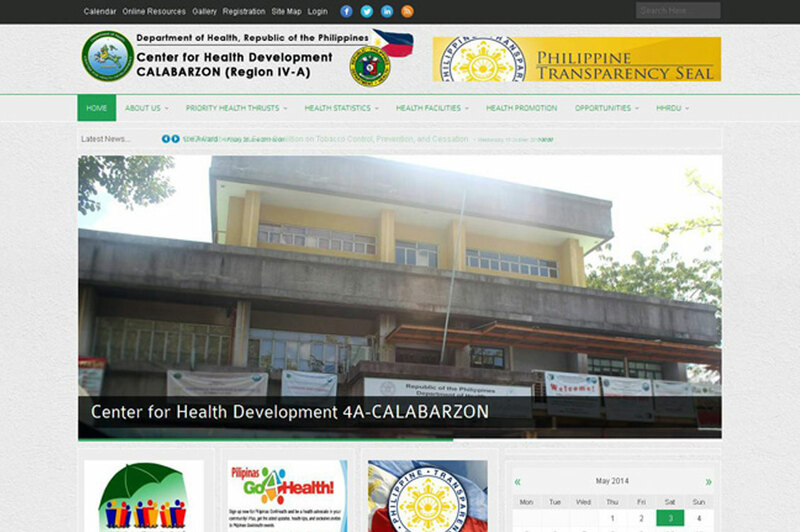 4A (CHD 4A) is the DOH Regional Field Office for Calabarzon covering the mainland provinces and cities of Cavite, Laguna, Batangas, Rizal and Quezon. 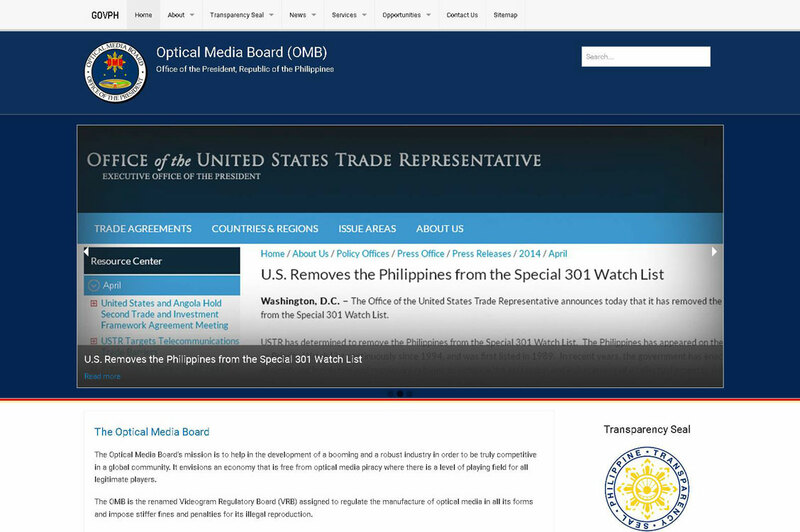 The Media Specialists Association of the Philippines (MSAP) is a duly recognized non-stock and non-profit organization under the Securities and Exchange Commission. 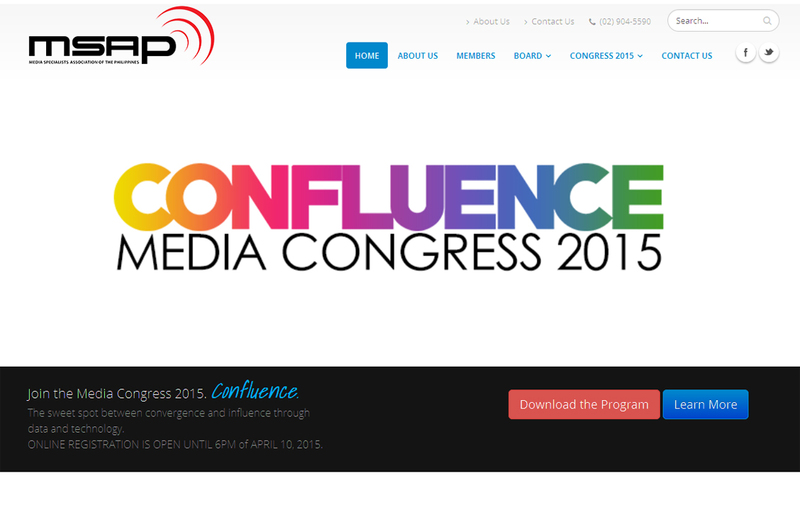 Incorporated in 2009, the Association’s members hail from various Media agencies and individual practitioners. 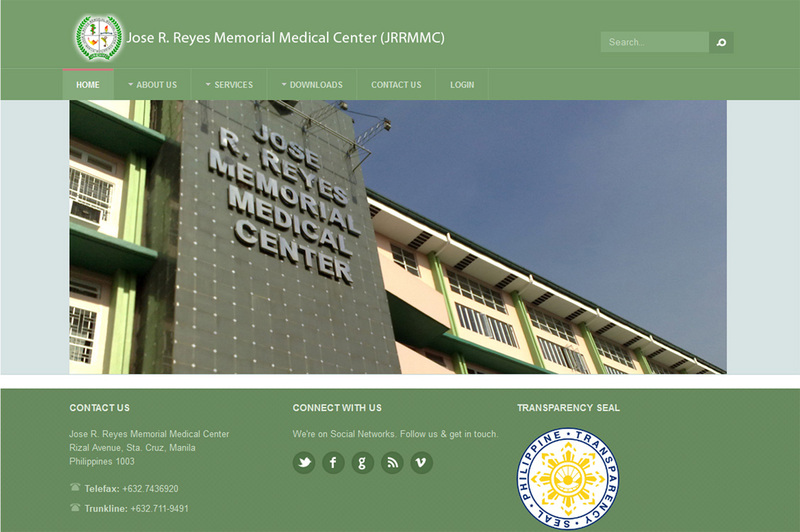 The Alpha Kappa Rho (AKRHO) Fraternity and Humanitarian Services website serves as the organization's official portal. 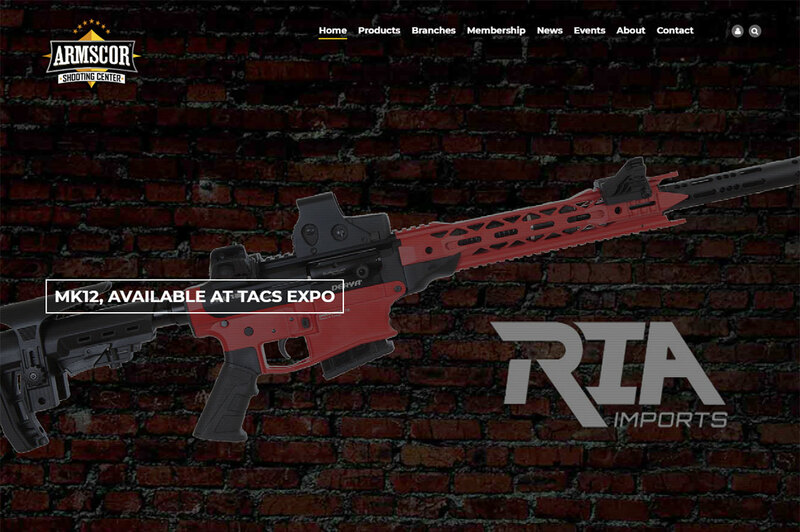 It showcases a restricted content access only viewable to verified members who had registered and confirmed membership. The ReussirGroup website is a brochure type, services website which maximizes fully Joomla's blog features and functionalities - a clean design but nonetheless a feature-rich website. 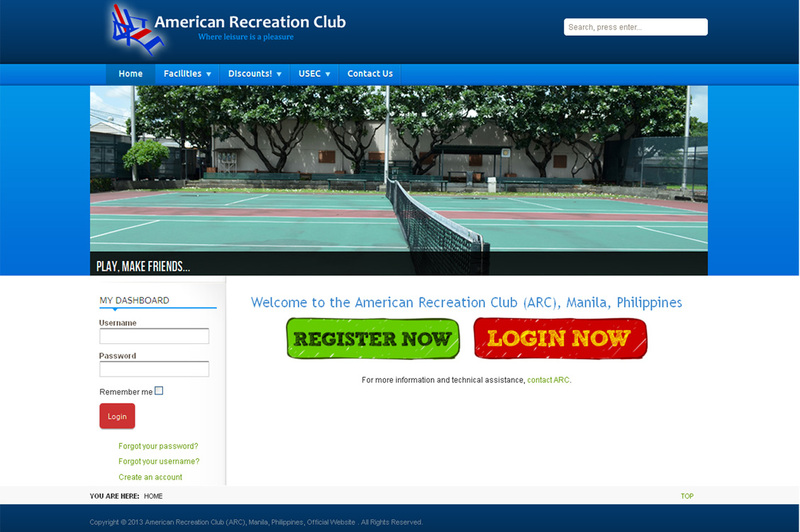 The American Recreation Club (ARC) website, a sports and recreational club for the US Embassy and diplomatic community in the Philipppines, showcases a full community and events management features - membership, sign-ups, events, mailing lists, comments, downloads, photos. 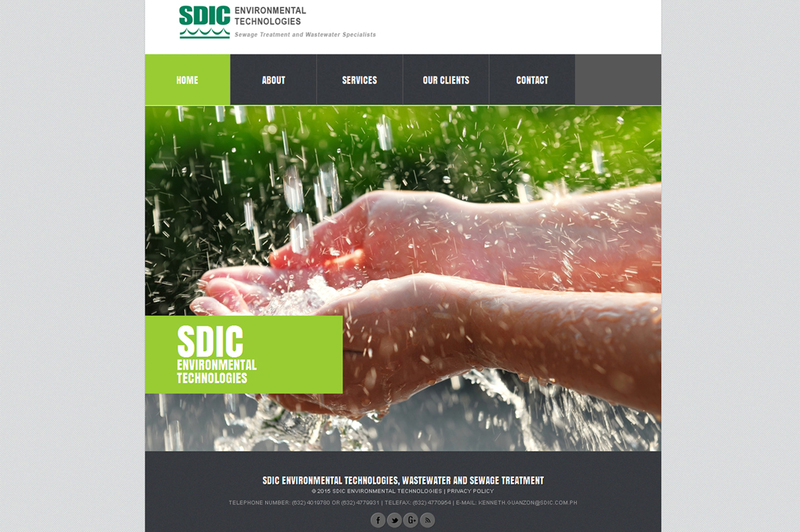 SDIC Environmental Technologies is an environmental engineering firm, wastewater and sewage treatment specialists that aims to remove contaminants from wastewater and sewage to produce a treated effluent suitable for discharge or reuse back into the environment. 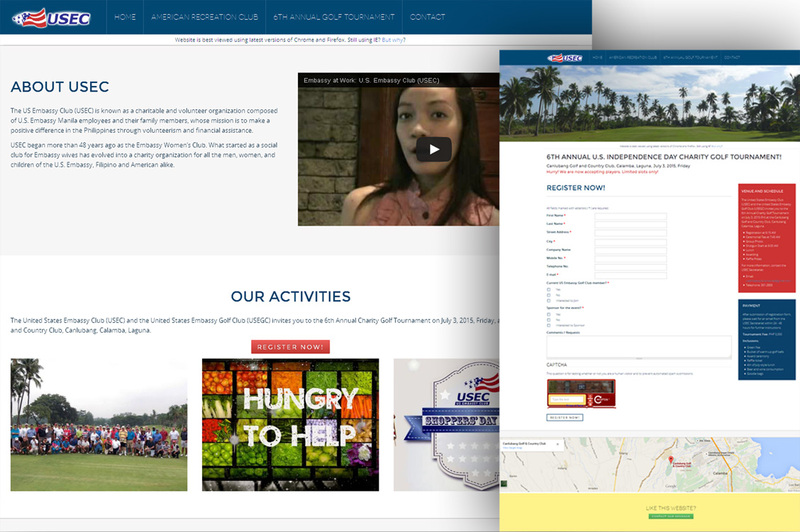 The US Embassy Club (USEC) microsite features a basic club portfolio of its charity and for non-profit activities. 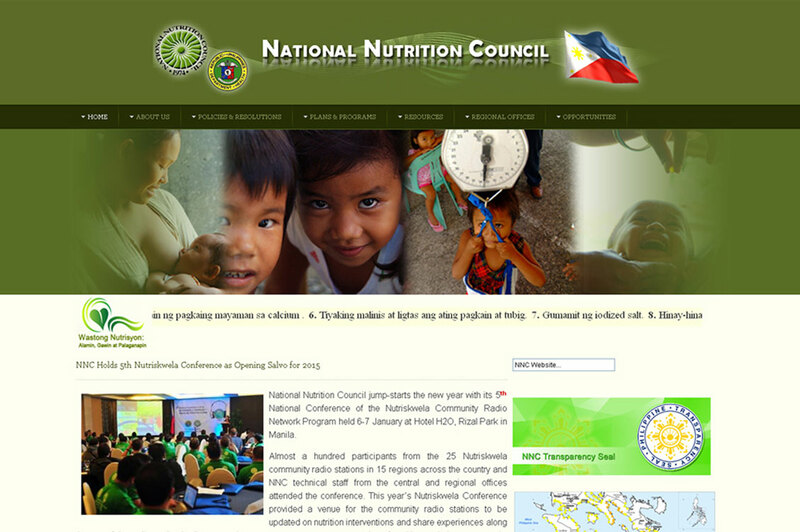 It showcases a registration page for participants interested in joining its activities. 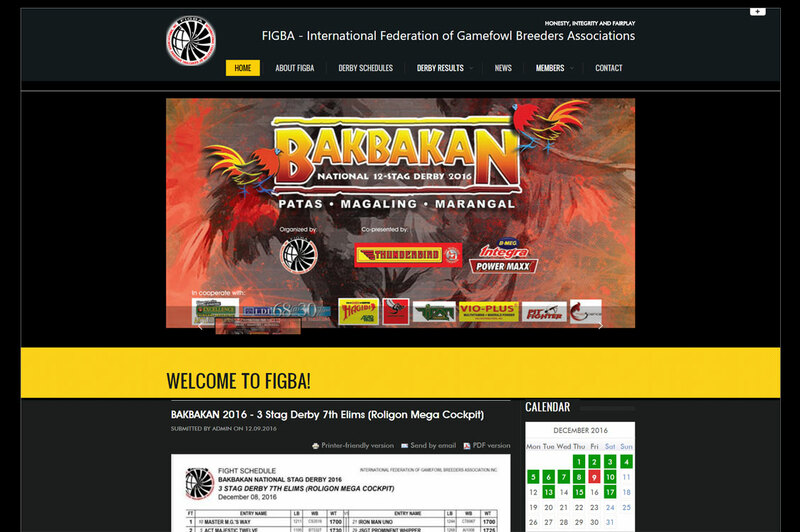 The National Federation of Gamefowl Breeders, Inc. or NFGB is the umbrella organization of all local gamefowl associations in the Philippines. 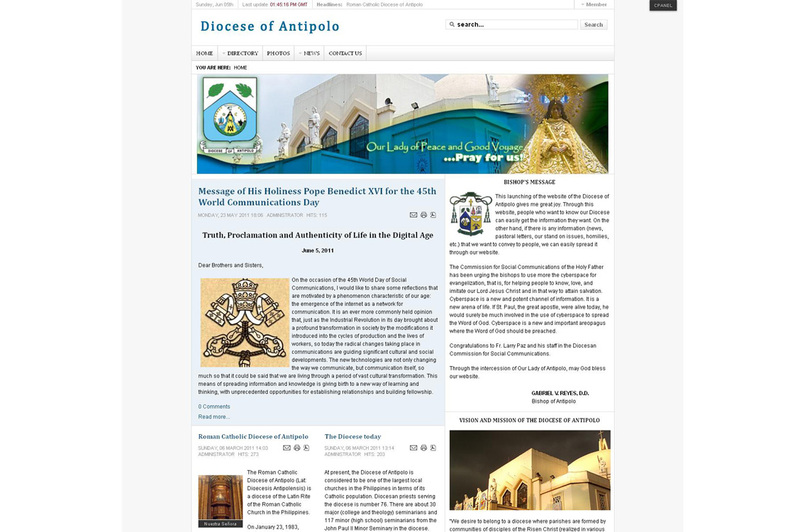 This is a personal blog website deployed since 2010. 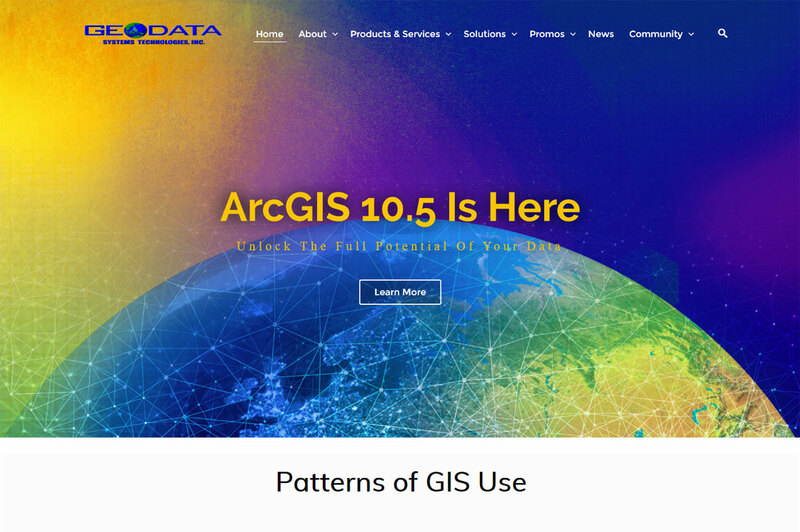 The website features how-to articles providing solutions and references for web development issues, specifically with Joomla, Drupal, WordPress, Magento and SEO.